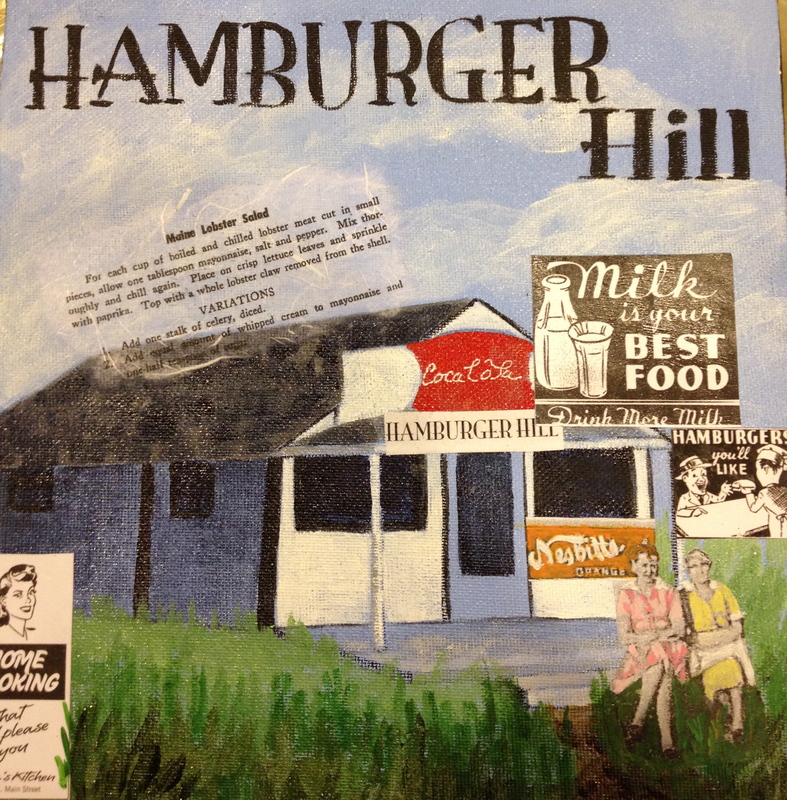 The iconic hamburger joint and more. This was opened before McDonald’s and as memory serves the folks of our community enjoyed eating here until sometime in the early seventies. I could be wrong about the date. The food was just wonderful home cooking. I remember Italian sandwiches, BLT’s, Hamburgers of course, pies and so much more. We had our 8th grade graduation party here,the food and the juke box kept us entertained. I’ve talked with folks who say this is a photo of Freda Smart and her mother. I remember Freda as the owner when I was growing up. I can imagine there are many happy memories of this place shared between the people who lived around here then. I send my thanks to this family for providing us with such a fun and delicious place to go.